A Dallas firefighter-paramedic has been released from the hospital less than a month after nearly being killed by a suicidal gunman in Old East Dallas. William An, 36, was shot May 1 while he tended to the first two victims during the rampage in the 3200 block of Reynolds Avenue. The bullets broke his leg and pierced an artery, causing significant blood loss. When police arrived at the scene, An was lying in the street and the gunman, Derrick Lamont Brown, had holed up inside his home. Officers drove An in a squad car to Baylor University Medical Center at Dallas. He reportedly went into cardiac arrest three times during surgery. Lamont was later found dead from a self-inflicted gunshot wound. He had also killed his godfather, 66-year-old Arthur Riggins, and shot a neighbor, who was treated at a hospital. It was the last Dallas Fire-Rescue vehicle that An rode in, Rescue 19, that drove him home Wednesday. "Watching Will being released from Baylor Hospital was amazing, especially when you consider where he was just a month ago," Fire Chief David Coatney said in a statement. "None of us could have imagined we'd be at this point, this soon." An and his wife, Jayne, have a 3-year-old son and are expecting a second child. People who would like to help his family can donate to the Dallas Fire Fighters Association Local 58 Relief Fund at local58relieffund.com or 10956 Audelia Road, Dallas, TX 75243. Gustafer Yellowgold (as his human-self Taylor Morgan) will be at Good Records this Saturday. A bright yellow alien named Gustafer Yellowgold returns to Good Records, 1808 Greenville, to entertain children and adults alike. Grammy-nominated songwriter and illustrator Morgan Taylor is the mastermind behind the animated extraterrestrial, slated to perform at noon. There is no charge to attend. If Taylor’s name is familiar, it’s likely because he is a part of the Polyphonic Sprees, particularly their memorable local Christmas show which used to take place at the Lakewood Theater but has since moved downtown. The Young Leadership Committee of Juvenile Diabetes Research Fund is hoping to help fund a cure for type 1 diabetes while having fun this Saturday. Brew the Cure at Henderson Tap House includes a day of beers, live music, raffles and more merriment from 2-5 p.m. Tickets are $30 and available here, and all proceeds go toward disease research. The entire Lakewood Hills neighborhood comes together for one massive garage sale happening this Saturday from 8 a.m.-3 p.m. Participating neighbors will mark their homes with balloons so shoppers can cruise or walk the blocks looking for treasures. The library is the place to be this Saturday, whether you want to play or learn. Over at the White Rock Hills branch, 9150 Ferguson Road, a free class will teach participants the basics of coding and software development at 11 a.m. There is no charge to attend, but registration is required by calling 214.670.8443. Then, head over to the Lakewood library, 6121 Worth St., from 2-4 p.m. to celebrate the launch of the Mayor’s Summer Reading Challenge with a party that includes Bender the Balloon Guy and face painting. The Lakewood branch will also host local law enforcement from 1-3 p.m., who will be on hand to meet kids, answer questions and get to know the community. Good Local Market returns with fresh produce, baked goods and artisan crafts every Saturday from 8 a.m.-1 p.m. The event takes place at Lake Pointe Church, 9150 Garland Road. Alright, pet obsessed readers, this Saturday’s event at Haymaker on Greenville is all for you. From 12:30-2:30 p.m., pet photographer Ziker Barking shares its talents by taking portraits of your favorite four-legged friends (yes, animals other than dogs are welcome, but this will be a dog-heavy event so consider the comfort of your pet). For $30, you get a 6×9 print and all proceeds benefit Dallas Pets Alive. Reserve a time here, and read anything else you’d need to know about the event right here. Take One Improv brings a night of “Whore Line Is It Anyway” inspired comedy to the Pocket Sandwich Theater on Saturday at 11 p.m. Tickets are $10 ($7 for students with ID) and available at the door. Speaking of the Pocket Sandwich, the murderous-comedy “Arsenic and Lace” continues through June 17. Tickets are $10-$12, get more details here. We were just notified of Mosquito Spraying this morning. Looks like some of it has already happened. We wanted to let you know that we will be spraying for abundance of Mosquitos in your Council District. Weather permitting the below areas are scheduled for mosquito control spraying on Tuesday, May 30, 2017 and Wednesday, May 31, 2017 between 9 p.m. and 5 a.m. each night. Control Area: The area to be sprayed is within an area generally bounded by: 6200 block of Oram Street (75214): BELMONT AVENUE on the north, MODERN PLACE on the west, ABRAMS ROAD on the east, and LIPSCOMB AVENUE on the south. Control Area: The area to be sprayed is within an area generally bounded by: 7200 block of Vivian Avenue (75223): LA VISTA DRIVE on the north, LINDSLEY AVENUE on the west, EAST GRAND AVENUE on the east, and CLERMONT AVENUE on the south. We here in East Dallas clearly have a passion for barnyard pets, based on the number of livestock that end up loose in our blocks. Every week, it seems, there’s a Nextdoor post about a wayward chicken sighting. At least once a year, we here at the Advocate find ourselves writing about a swine on the loose. Just last week, the Dallas Morning News chronicled the police effort to rescue a lost calf from the streets of Lochwood. It turns out, this saga is something we’ve lived with for well over 100 years. While digging around in the archives, I found what may be the best piece of writing to come from the Dallas Morning News, simply titled “An East Dallas Grievance.” Published in 1885, five years before our neighborhood was annexed into the City of Dallas, the piece chronicles a dispute over loose livestock laws. 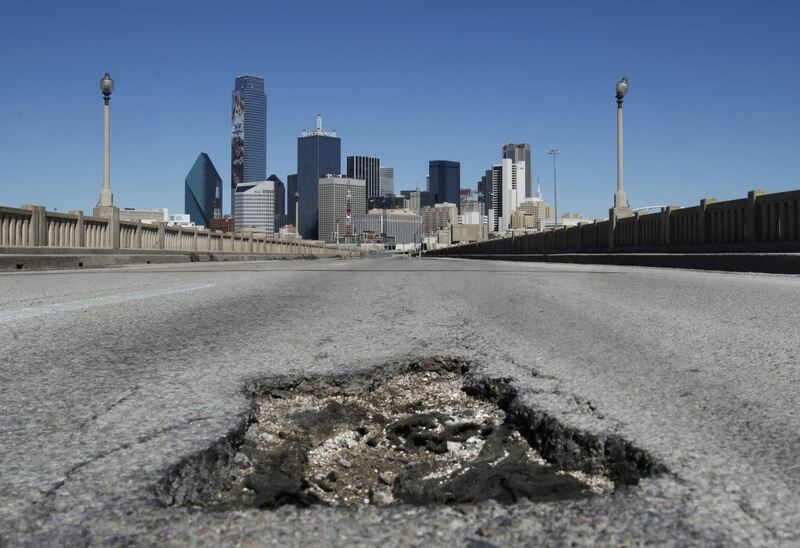 At the time, “Old Dallas” did not allow animals to run free, while East Dallas had no such law preventing it. 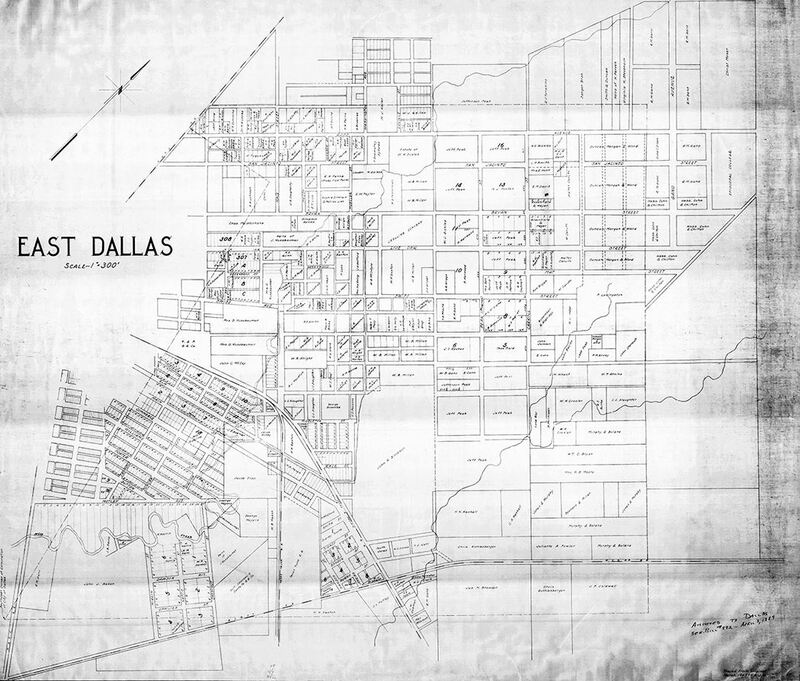 The result was the regular problem of East Dallas livestock wandering into Dallas city limits, at which point they became the property of the “old” city. Today, pet owners can be fined as much as $215 for loose animals, although the city will not round them up and eat them as in days passed. But it’s somehow refreshing to see that loose livestock is a problem that’s plagued East Dallas for at least 132 years. Last Thursday we had our Night Out On Bishop Arts. One of those Insta Buys from the Auction Party. We had a great time with some libations and finger foods and a designated bus driver. I wanted to give a Big Thank You to Cody @ Shop Bishop Arts. On top of closing his shops for us and entertaining us, he contributed 10% of our total purchases to our neighborhood. So he wrote a check to HSMNA for $218. 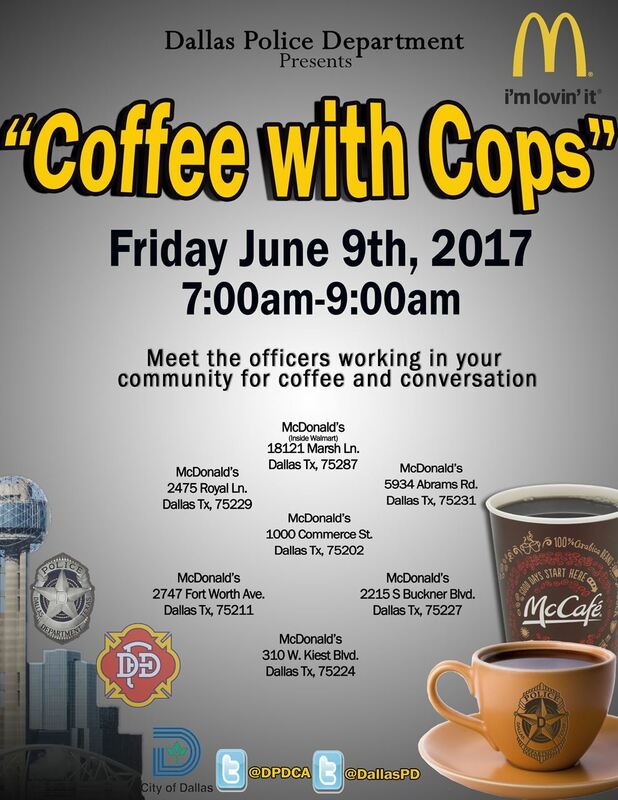 Show some love for our men and women in Blue and have a cup of coffee with them. 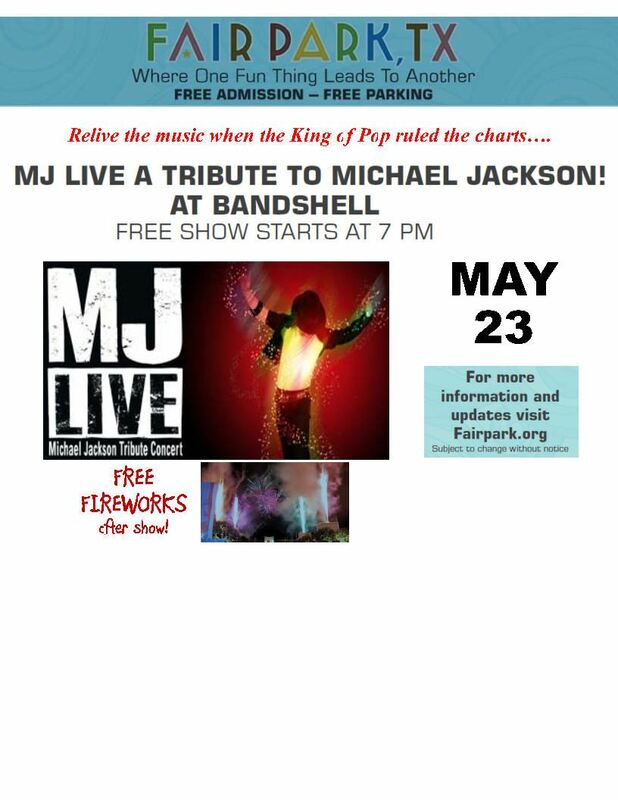 Relive the music when the King of Pop ruled the charts…. Free Fireworks after the show. 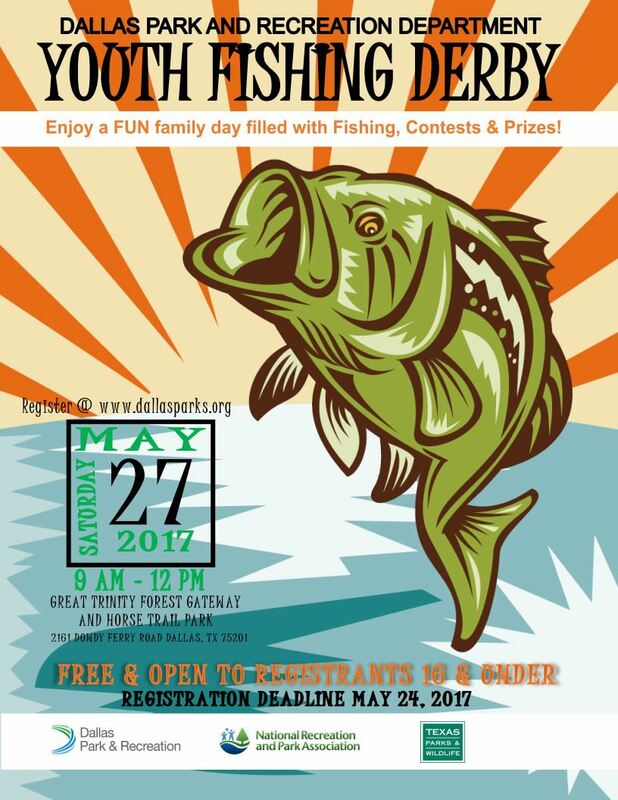 Saturday - May 27th at the Great Trinity River Forest Gateway and Horse Trail Park. 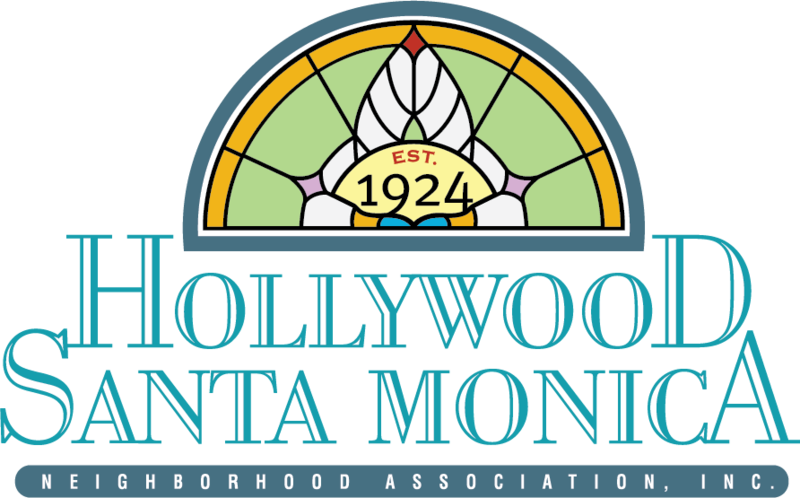 Deadline to Register for this free event is May 24th. Paying for tuition and books just got a little easier for 20 graduating seniors in the Woodrow Wilson feeder pattern. 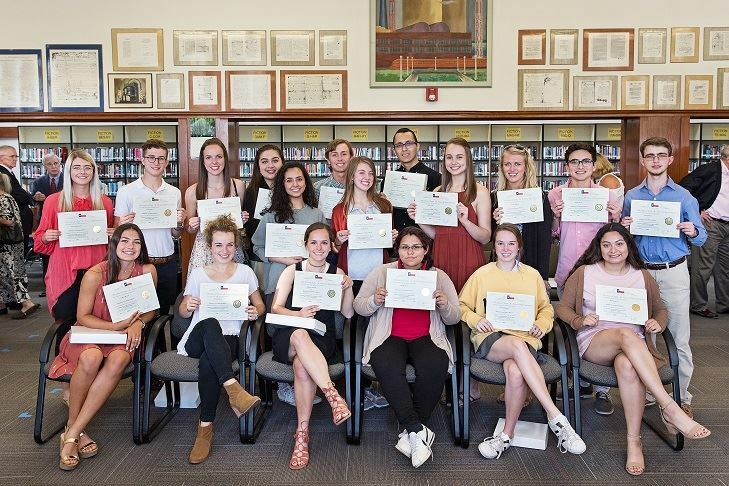 The teens were each awarded between $250-$10,000 in scholarship dollars from the Woodrow Wilson High School Community Foundation. Below is a list of the talented recipients, their intended university and expected major.